One of the traditional canards of the anti-digital set is that online communications are making us less social, tying us to our homes and mediating human contact through screens. We're visiting shops less frequently, because we can shop outside. However, people are starting to give consideration about how we might reform our public spaces to both facilitate digital living - and give people new reasons to go outside. Most of us have been out of juice at one time or another. Often, when our devices run out of power, we just need 5 minutes to make a quick call, send a message or check a map. Similarly, we often need a brief respite to recharge ourselves. StreetCharge is a solar powered installation. 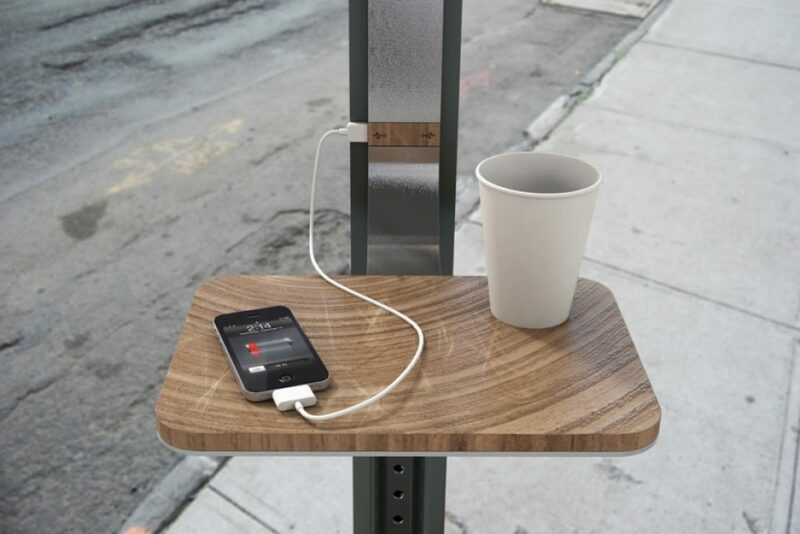 It provides charging, lighting and a place to rest, integrating with the existing structure of a standard street sign. Of course, some digital shifts have reshaped our relationship with the physical in different ways - sites like BookCrossing have encouraged people to see their ownership of physical books as a transitory phenomenon. It actively encourages owners to let the book move on to new readers. 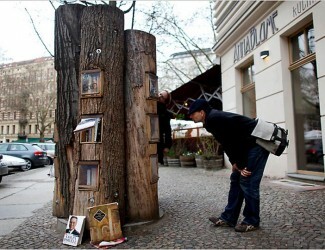 To help facilitate this, a project in Berlin a few years ago created a book depositary from logs in the street.